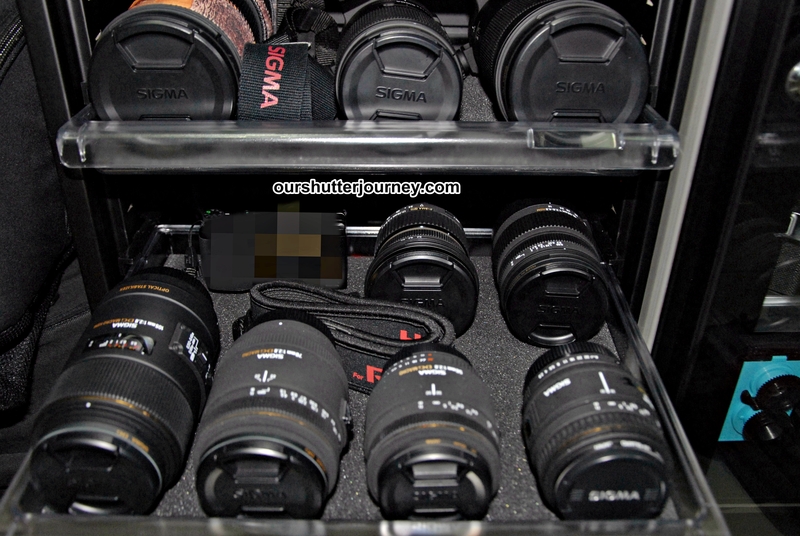 Picture: These are just some of my Sigma Lens collection. Many other Sigma lenses are out with other reviewers or students. 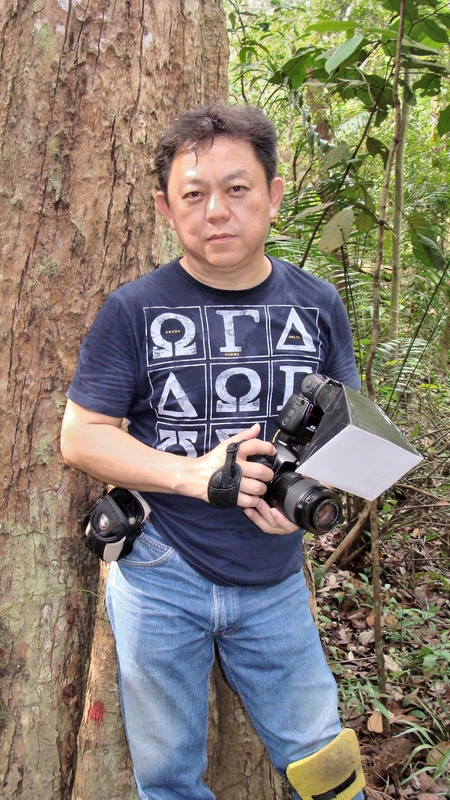 25th April 2014, Singapore – In the year of 2011 and before I was appointed by Sigma Marketing (Singapore) Pte Ltd as Singapore’s Official Tech Reviewer, I’ve written about the Sigma lenses that I will personally pick. That was during March 2011. You can see the article here. And since after my appointment as the Official Tech Reviewer by Sigma Singapore in December 2012, I have had tested and shot with almost all the Sigma lenses in their inventory while learning at the same time about what Sigma lenses can do and why it still charms many photographers till today. With Sigma’s announcement on the Global Vision – and the world had witnessed how Sigma had released award-winning lenses after lenses – and with every new lens, it’s like having a never-ending “surprises” experience over & over again. As the appointed Official Reviewer, after testing & reviewing Sigma lenses for the last 2 years, I have decided to write this “Part 2” to supercede the original article about my favorite Sigma lenses. However I am not going to post up individual thoughts here but the links to the original reviews that I had done so that you may read them up individually. Here’s my pick this year. My PICK for Ultra-Wide Angle Zoom lens has to be the Sigma 12-24mm F4.5-5.6 DG HSM II. I love this full frame (FX) lens that gives excellent sharpness and fast focusing. Contrasty at mid apertures, sharp across the zooming range, this is a must buy lens for all ultra wide angle fans. My PICK for Wide Angle Prime lens has to be the Sigma 35mm F1.4 DG HSM ART. This is the lens that I will use for my walkabouts and for roaming the streets. One of the best Street Photography lens that money can buy. Excellent built, sharp photos and excellent color rendering. My PICK for a Standard Prime Lens will be the mighty Sigma 50mm F1.4 DG HSM (ART). This is the successor to the award-winning 50mm F1.4 EX DG HSM whom had won the world over many times over many years. The new 50mm is a redesigned lens with excellent optical glass elements and a solidly built body. The profile of the lens has rewritten history of how a 50mm should look like or behave. The new Sigma 50mm Art will continue to rule the Standard Prime segment for years to come. My PICK for a versatile Macro Lens has to be the best selling Sigma 150mm F2.8 EX DG OS HSM. At 150mm, this macro lens allows more flexibility than the usual 90-105mm range. Sharpness is the selling point of this lens that gives excellent sharpness across the aperture range. Doubling up as a portrait lens when used wide open, this lens is probably the most insane macro lens out there in the market today. Built like a tank but much lighter. I own the complete macro lens series of Sigma and this is my most used lens among the range. My PICK for Standard Zoom Lens for Full-Framers will be the Sigma 24-105mm F4 DG OS HSM (ART). Made as the evil twin to Canon’s EF 24-105mm F4L IS USM, the Sigma version is widely regarded as the improved version of the Canon’s long-running version. Sharpness, built quality is very Zeiss-like and this lens had made the Canon’s L version look somewhat inferior. Need an all-rounder zoom for your full frame DSLR, get this lens. My PICK for Super-Telephoto Zoom lens will be the Sigma 120-300mm F2.8 DG OS HSM (Sports). This is an insanely quick lens. Designed and built for sports & wildlife photographers, this lens is the “monster lens” among other lenses in the same class. Priced very reasonably, well built and gives excellent optical results, this super tele zoom had set a higher benchmark to the competition. My PICK for Wide Angle Zoom lens for APSC DSLRs has to be the Sigma 17-70mm F2.8-4 DC Macro OS HSM (C). This is the ultimate replacement/ upgrade lens to replace that plastic lens that came with your APSC DSLR. Wider apertures, from landscape wide angle to portrait mid tele, this lens does lots of stuff – all within a lens. My PICK for Standard Prime Lens for APSC DSLRs has to be the Sigma 30mm F1.4 DC HSM ART. Cost much lesser than the 35mm, this 30mm is designed and optimized for APCS DSLRs and the sharpness is so sharp that it cuts you when you are looking at the photos. (kidding please). If you are not intending to go Full Frame, then get this. My PICK for Fisheye Lens for APSC DSLRs has to be the Sigma 10mm F2.8 EX DC HSM Fisheye HSM. This lens is still one of the best Fisheye lens specifically designed for APSC DSLRs. Build quality is far superior to the other similar offerings by competitors and the optical quality is probably one of the best in the industry. Till today, I have not seen another Fisheye lens that actually comes close this Sigma unit. My PICK for a great low light Zoom lens for APSC DSLRs has to be the Sigma 18-35mm F1.8 DC HSM (ART). This is the world’s first F1.8 zoom lens and many other lens makers were shocked when Sigma announced this lens. Optics are awesome and the the lens are well built. Although made for APSC DSLRs, this made sense as most photographers owns an APSC DSLRs or has an APSC DSLR to pair off a Full Frame DSLR. My PICK for an All-Purpose zoom Travel Lens for APSC DSLRs has to be the Sigma 18-200mm F3.5-6.3 DC Macro OS HSM (C). As a person who used to hate “super zooms” due to the bad image quality, slow focusing and badly made lenses in this category, this latest incarnation of the super zoom had changed my perceptions completely. Versatile and covers a huge focal range, the lens produces indecently sharp photos across the focusing range and the gives excellent colors at the same time. If you only have budget for one lens to replace your kit lens, this is the lens. My PICK for a high-end digital compact camera from Sigma has to be (or the only) Sigma DP-3 Merril. Built as a solid and purposeful digital compact, the DP series cameras has always been the talk of Sigma’s competitors. Well, who in the world will give you a 40 megapixel digital compact except Sigma. This compact is a must have for those days when DSLRs is not appropriate. You know what I mean. Have fun reading the reviews and remember to buy your Sigma lenses from our dealers here. This entry was posted in Brand: Sigma, Group Test & Reviews, Photography Articles & Videos, Uncategorized and tagged Art, Contemporary, Sigma, Sigma Lenses, Sports. Bookmark the permalink.